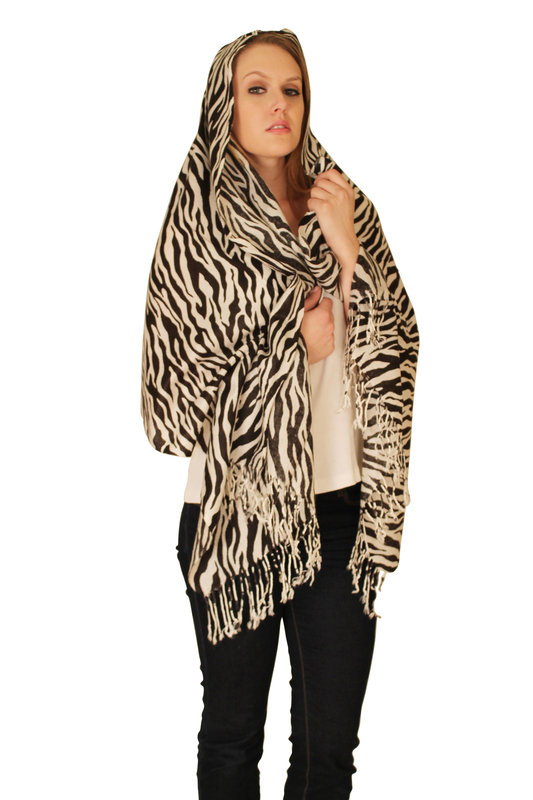 Fashionable long soft pashmina printed shawl/ scarf. 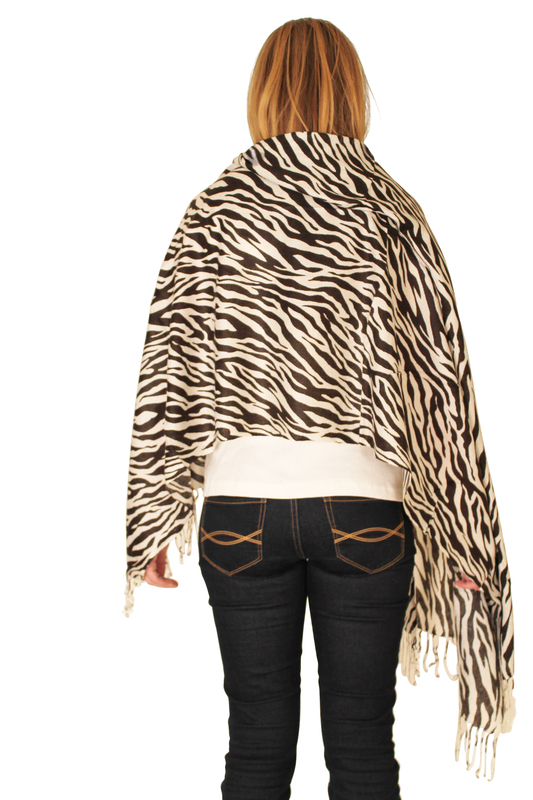 Available in many colors and stylish animal patterns such as: leopard, zebra, and giraffe. 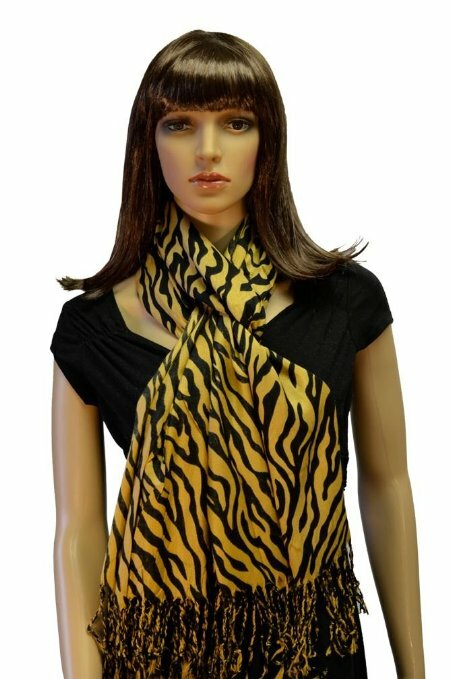 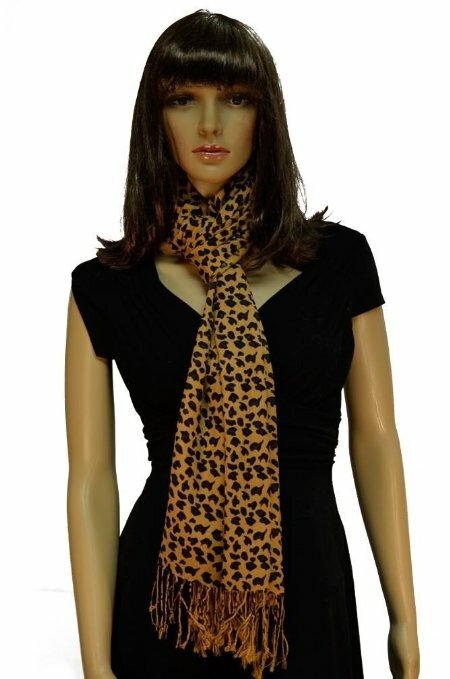 The scarf is the perfect addition to ones wardrobe to give a stylish and fashionable look to an outfit.